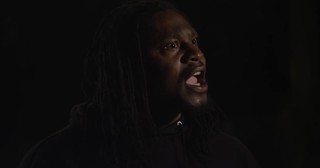 The internet was treated in February to roughly four minutes of sloppily edited footage featuring Marshawn Lynch for what appeared to be a biopic based on the Seahawks running back. (Watch it here.) Those four minutes are apparently all the public will get, because Family First is reportedly never seeing the light of day. He did a terrible job, and the film will never be released. Ah. Anyway, if you know how to get more footage of the Lynch project, get in touch with us at tips@deadspin.com.